Overview: The Lao people are an ethnic subgroup of the Tai peoples of Southeast Asia and the Lao language is closely related to Thai and other languages spoken by the Tai peoples. Sixty percent of the people of Laos are ethnic Lao. They are the principal lowland inhabitants and the culturally dominant group. 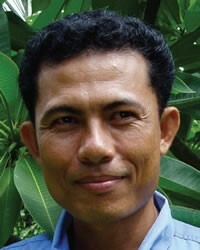 The Lao people cluster includes only those people groups whose first language is Lao.